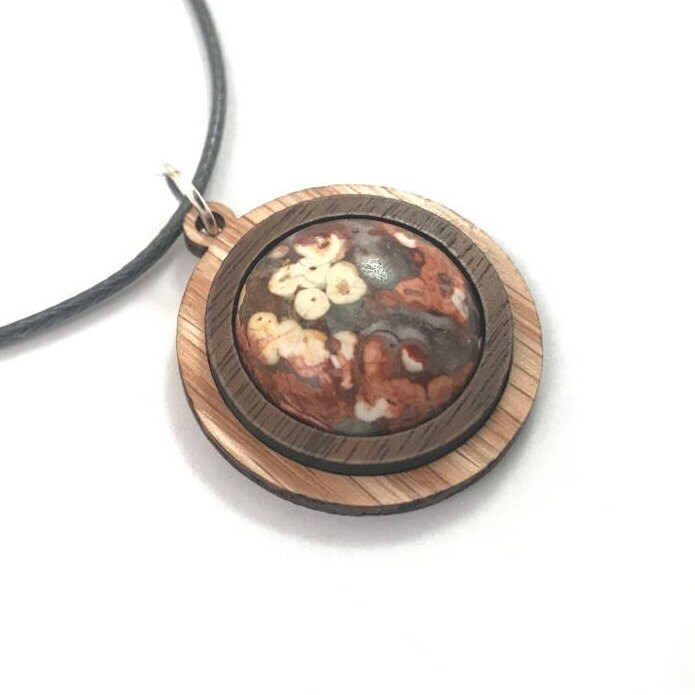 This pendant is made in Central PA out of sustainably harvested natural Oak and Walnut, with a 20mm genuine Leopardskin Jasper cabochon securely set between the layers of wood. 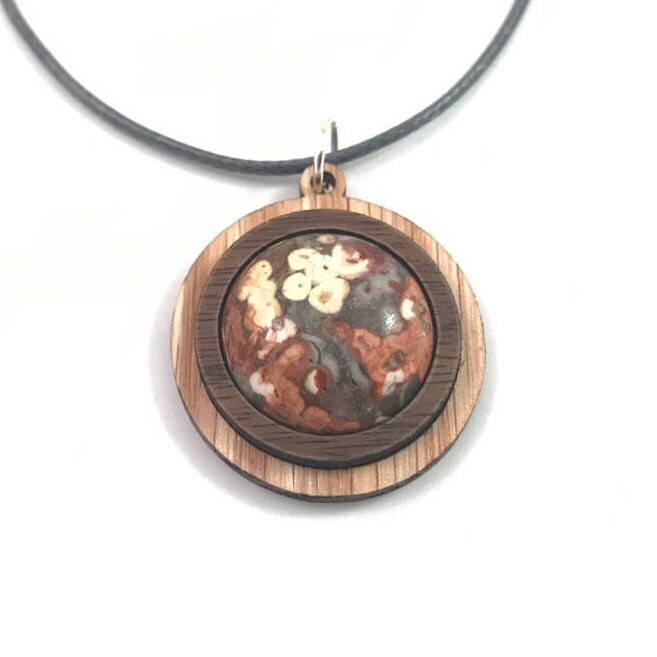 Leopardskin Jasper is known to assist in self-healing and spiritual discovery. In addition, all Jasper stones have powerful stability, grounding and protective properties.